There has been lots of chatter amongst the clubs especially the secretaries who are constantly trying to keep their records updated in order to report back to their membership, state bodies and ANWEL in regards to the In the ANWEL Riders Levy’s. In the past this fee has either been added to your club membership or paid by your club. To make it easier for all and to help ANWEL start to set up a database provide all with important information immediately. ANWEL will now collect this fee directly. ANWEL Riders Levy’s – what does your $10 cover? 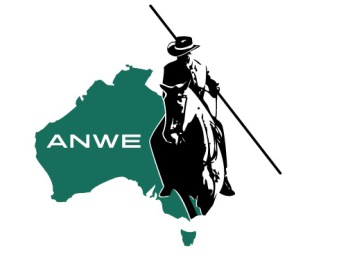 ANWEL (Australian National Working Equitation Limited) is the official recognised body for Working Equitation in Australia. ANWEL is affiliated with WAWE (World Association for Working Equitation). The WAWE affiliation enables ANWEL to utilise International, riders, trainers and Judges to conduct clinic’s here in Australia and leverage all the WAWE materials. ANWEL – conducts clinics for judges, riders and new clubs. ANWEL – Negotiates with various bodies to enable states & clubs to receives discounts, such as insurance.